GP Journeys in Design is developing a local legacy project in each Scottish town on Our Linen Stories tour and we look forward to reporting more over the winter months. Fife is a fascinating county full of a rich trading and industrial heritage relating to flax and linen and as your curator’s recent travels reveal, alive with contemporary creative endeavour. 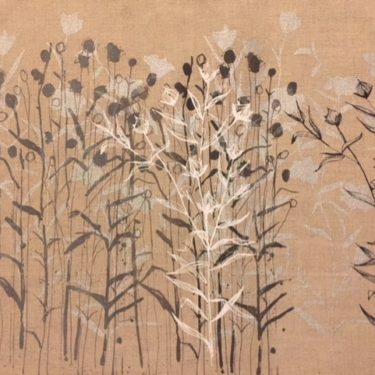 In collaboration with designers, local heritage groups, Fife College and National Library Scotland, we are mapping The Flax Fields of Fife, on-line and in print: we would be delighted to hear from you with your suggested additions. Kirkcaldy earns its place as the beginning and end point of this tour – a key port of trade with Europe in former times, the greatest yardage produced per head of population in the eighteenth century, an unrivaled density of town centre linen mills and related industry in the nineteenth century, the broadest range of product created in the twentieth century and the most persistent site of manufacture today: the true spiritual home of Our Linen Stories in Scotland. Thank you Kirkcaldy for your engaged and engaging contributions last week. 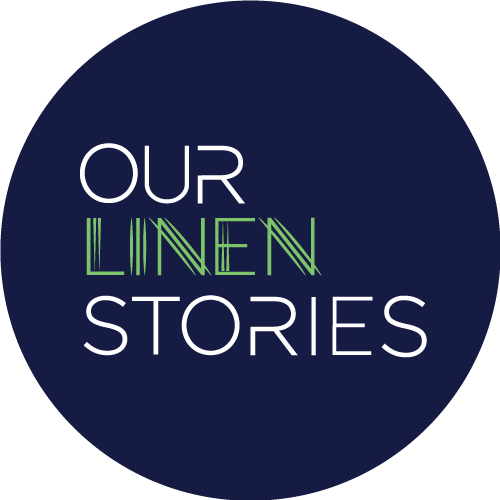 You can keep track of our developing book of linen stories via Facebook and read our past newsletters on our website sharing centre here. Onward now and across the Irish Sea to Lisburn from 3 to 6 October, your curator’s former home town and with a special focus exhibition in our Cathedral venue: ‘Faith in Linen’, exploring births, deaths, marriages and the religious associations of this hallowed cloth, part of our continued exploration of this fascinating material culture. John, Mandy, Max and James.